Since 2017, a massive re-education campaign in China's Xinjiang province has imprisoned close to one million Muslim Uighurs and other minorities in “vocational training camps” and prisons, said Georgetown's James Millward at a recent lecture. UCLA International Institute, January 22, 2019 — Since 2017, China has launched a massive campaign of coercive assimilation targeting Muslim Uighurs in Xinjiang Province, said James Millward at the Center for Chinese Studies on January 9. Millward is professor of Qing and Inner Asian history at the Edmund A. Walsh School of Foreign Service at Georgetown University. Authorities in the province, situated at the country’s northwestern corner, have now imprisoned roughly 11.5 percent of the province’s population (about 1 million people) in a growing network of “concentrated re-education camps” and adjacent prisons, in some cases incarcerating parents together with their children. Although the declared aim of these re-education camps — frequently called “vocational training camps” in the Chinese press — is to educate poor Uighur and other minorities in the Chinese language and law and to impart vocational skills to them, Millward noted that the incarcerated also include many representatives of Uighur educational and cultural elites. Driving the campaign is the former governor of Tibet, an ethnic Han, who brought with him to Xinjiang the grid-policing technique that he deployed in Tibet. The technique establishes a dense network of neighborhood police stations and checkpoints, particularly around areas of potential resistance such as Xinjiang University. Residents stopped at check points are subjected to scanning by hand-held devices with facial recognition software, a product that Millward claimed China is actively marketing to other countries. 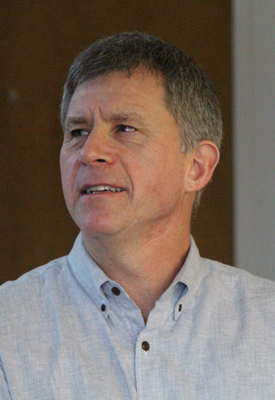 Millward said that most information about what is occurring in Xinjiang — including expanding numbers of arrestees, re-education camps and prisons — is being discovered by activists and journalists from open sources, including satellite photographs and tenders for construction, technology and personnel published on county websites in Xinjiang. Testimony from Chinese Uighurs and Kazakhs that managed to escape to Kazakhstan before the ramp-up in arrests began in 2017 indicates that a range of institutional types are being used in the re-education campaign in Xinjiang. These span the range from prisons (that, if they do not practice outright torture, require forced calisthenics, singing songs in praise of Xi Jinping, self-criticism and disavowals of Islam and Uighur culture) — to re-education camps where detainees learn Chinese, criminal law on terrorism and, purportedly, a trade. Since the early 2000s, the Chinese state has encouraged the migration of Han Chinese to Xinjiang as part of its “Open Up the West Campaign” to develop its sparsely populated western provinces and autonomous regions. Han Chinese resettled in the province in large numbers and were employed by the infrastructure and economic development projects generated by the campaign. Increasing numbers are now employed in the vast detention system that has sprouted up since 2017, although it appears that Han outmigration from the province has increased in recent years. Millward said that several terrifying terrorist acts against random civilians occurred in China, including Xinjiang, over the course of 2013–15. Although the attacks were few in number, he noted that they coincided with low-level unrest in Xinjiang that eventually led Chinese authorities to launch the current campaign, which they perceive as a massive, one-time intervention to restore stability in the province. Three Chinese government initiatives supported the turn toward more extreme policies: the “strike hard against terrorism” campaign launched in 2014, a law targeting violent extremism adopted in 2015 and an explicitly assimilationist policy toward ethnic minorities which Chinese leader Xi Jinping began to espouse in 2014. “It’s not that there was not a problem [with ethnic unrest in Xinjiang],” remarked Millward, “but the response has been excessive and indiscriminate.” In addition to mass arrests, Han young people have been sent into Uighur homes in the province to check whether families eat pork, watch state TV or exhibit other examples of 75 prohibited “extremist manifestations,” such as speaking Uighur, writing in its Arabic script, using the greeting “Salaam Aleikum,” wearing a veil (women) or a beard (men), praying five times a day, avoiding alcohol, not smoking or even attending weddings that are too simple or don’t have music. State-sponsored propaganda campaigns, often explicitly Islamophobic in tone, are concurrently being waged against Halal food, Arabic architecture, ethnic clothing, clothes with crescent moon and stars and materials in Arabic (whether written or in photographic form on a smart phone). Although education in Chinese has been encouraged for decades in Xinjiang, with high-performing students regularly selected to attend Chinese-language boarding schools, Millward noted that all levels of the school system are currently being pressured to teach in Chinese. In the speaker’s view, the assimilation campaign being conducted in Xinjiang represents a sharp break not only from the traditional policies of Chinese empires, but also from the Soviet-conceived nationalities policy implemented by the Chinese Communist Party following its victory in 1949. In force through roughly 2015 (with the exception of the Cultural Revolution period), that policy enabled ethnic groups to preserve their cultural identities via autonomous administrative units and the right to speak and be educated in their languages (at least at lower educational levels). “Imperial Chinese states developed a vast repertoire of dealing with different peoples, and the associated problem of one country, two systems and autonomous regions reflect old Chinese practicality with respect to sovereignty and governance,” observed Millward. The fall of the USSR, however, caused Chinese ideologues to question the wisdom of Soviet-era policies. The result, said the scholar, has been an inversion of the Communist Party’s ideological notion of Zhonghua minzu. Instead of seeing the 56 ethnicities of China and the Han people as together generating a greater “Chinese” nationality (the previous understanding of Zhonghua minzu), Millward said that Chinese communist ideology now contends that Chinese nationality itself is the progenitor of the various ethnic groups of China, going so far as to assert that the Uighur people trace their origins to the Han and not the Mongol Turks. Millward cast doubt on a positive outcome of the coercive policy. “It’s really a campaign of cultural genocide [or “ethnocide,” as another scholar interjected]: they are trying to change the nature of people’s ethnicity to make them more pliable and Chinese,” he said. 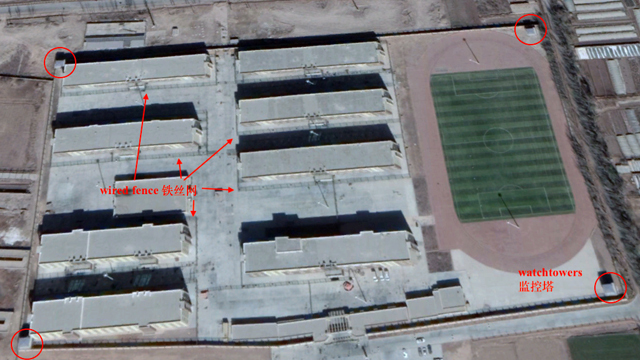 It is unclear, for example, how the Chinese state would release people from these camps, given that ensuing negative incidents would have immediate repercussions. When and if detainees are released, the speaker predicted that the Chinese state would face terrified and very angry people. “They have mounted a tiger here and getting off will be very difficult to do,” he concluded. *See, for example, Smith article, Lim article and a Smith-Lim podcast. Click here for James Millward’s article in The New York Review of Books of January 10, 2019.